The genetically-enhanced assassin Agent 47 (Rupert Friend) must use his skills to team with a mysterious young woman (Hannah Ware) to take on the evil Syndicate, which wants to use the technology used in the Agent program to build their own army of enemy Agents. It’s hard not to feel somewhat sorry for Hitman: Agent 47, because it’s opening in a summer filled with a lot of great action films from Mad Max: Fury Road through the last couple of spy movies, which means it’s really going to have to deliver to have any sort of impact. Granted, I’ve never played any of the “Hitman” video games and I barely remember the previous movie starring Timothy Olyphant, but it’s basically working from the same idea of an agency that’s genetically altered babies to turn them into enhanced assassins, a process which others want to get their hands on for their own means. At the center of it all is Rupert Friend’s Agent 47, a bald emotionless assassin with a barcode neck tattoo who has been hired to find and kill a young woman who has a protector in the equally mysterious and dangerous “John Smith” (Zachary Quinto). Nothing about this scenario is what it seems though, but before we even get into the main storyline, we get to see Agent 47 at work going after a target assigned by his handler (Angelababy). 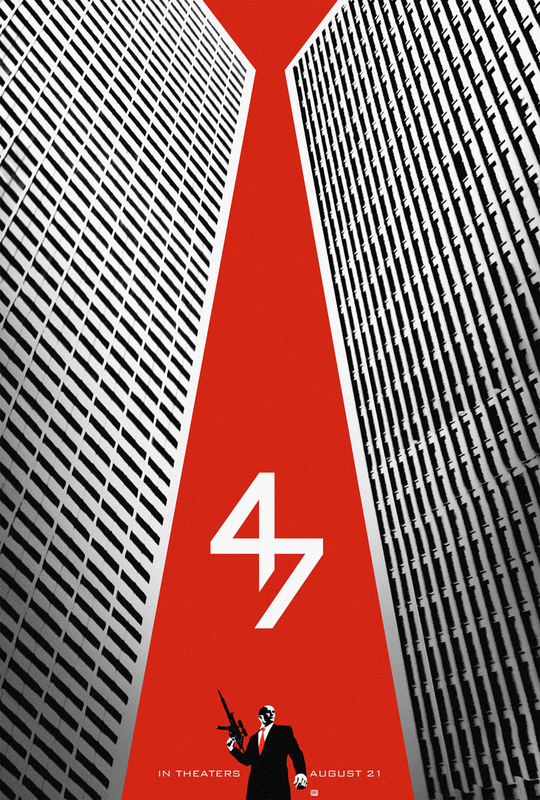 It’s an exciting way to start the movie and introduce us to how Agent 47 uses his wits to take out his assigned target. What makes Hitman: Agent 47 interesting, at least at first, is that it’s not clear who is good and who is bad and where Hannah Ware’s Katia falls into the mix, but as it goes along, there’s less of that grey area, as it resorts to the usual action movie tropes. Not to throw the movie under the bus for being based on a video game–because we all know the storied history of that genre–but in an action movie like this, there’s a certain point where your mind goes numb just so you can enjoy the pure spectacle which means that any attempts at subtlety or trying to be clever is likely to get lost. Fortunately, Hitman: Agent 47 never tries to be either, and yet I’ll admit there were times I wasn’t fully sure I understood exactly what was going on, such as why they needed to find Katia’s father (played by Ciaran Hinds) and how he was involved in the original Agent experiments. Beyond that, Rupert Friend was a pretty good choice for Agent 47 because he gives the stoic character quite a bit of weight during his few moments of dialogue, and the action is fairly impressive, particularly the hand-to-hand between Friend and Quinto, as first-time director Alexsander Bach finds a way to make the film visually compelling. Even so, he’s still working from a script that never tries any harder than it needs to be in order to get from point A to point B. While it does a good job building and intensifying the pace of the action, just as you’re getting into it, it suddenly grinds to a halt with one of those frustrating endings where you want to see what happens next but know that you’re relying on the movie’s success to see the resolution. That may be the biggest problem with a movie like Hitman: Agent 47, because the studio and filmmakers are so eager about trying to create a franchise, they don’t give the movie a proper ending in hopes a cliffhanger will get people more excited, something we’ve seen far too many times recently. Even the “Mission: Impossible” movies were good at wrapping things up, even as they teased what might happen next, but Hitman does this in a way where it’s obvious the story isn’t over and that feels like a rip-off since who knows if and when there will be another movie? 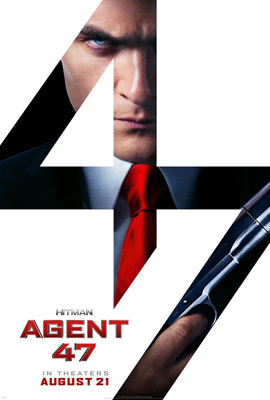 Any potential Hitman: Agent 47 may have had is squandered as it gets marred down in some of its more inane ideas with a cliffhanger ending so lame it ruins any chance of enjoying (or remembering) much of what came before.